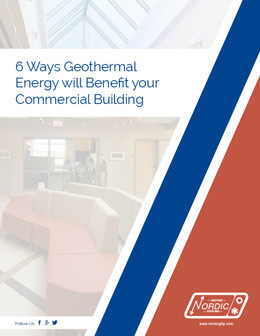 Geothermal heat pumps can be a great addition to your commercial building, but they can be expensive to install. Fortunately there are several geothermal tax credits and heat pump rebates available to commercial building owners. Browse the options below to find an incentive that suits you. There are currently no commercial incentives offered by the Canadian Federal Government. There are no commercial tax credits offered by the provincial governments in Canada. The federal government is offering a 10% tax credit on the installed cost of a geothermal system. This tax credit is uncapped and applies to the all of the installation related expenditures. Geothermal heat pumps are also eligible for Modified Accelerated Cost-Recovery, which allows for accelerated depreciation over five years. If your business does not have enough of a tax liability to take advantage of the 10% tax credit, you may instead take a 10% grant from the Treasury Department. If you’re looking for commercial tax credits in your state, check the DSIRE database. This database contains all of the geothermal incentives on a state-by-state basis and is an excellent resource.